Not long now to the Orwell Festival. We always look forward to this one, well organised and a lovely place to spend the weekend. When: 11th to 13th May 2018. Where: Hallowtree Scout Camp, Ipswich, Suffolk. DCB’s back at the Bulls Head at Brinklow. We think it must be some 30 years since we last played the Bulls Head. Looking forward to being guests at the Wurzel Bush folk club once again. When: Tuesday 31st October, 8.30 start. 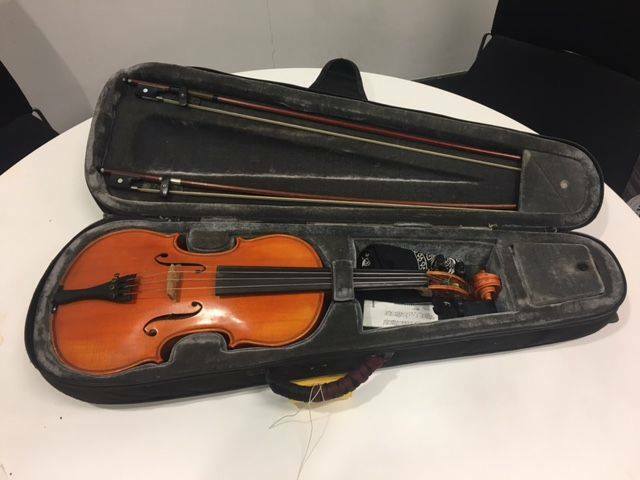 We’ve recovered a violin after searching a vehicle in Cheddar this week. A male and female were arrested for theft of other items. Do you recognise this instrument ? Recognise it? Call us on 101 and give the reference 5217156731. So pleased to be invited back to the Oundle Fringe. We had a great time last year, and made lots of new friends. When: Wednesday 5th July. 9.00pm. We will be playing at the “Live Acoustic Special” on Tuesday 23rd May. Always a good night, & all proceeds to Oxfam. Cherokee Shuffle. 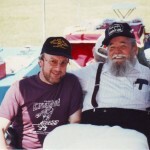 This track was recorded at the home of the late Mr. Ken Harris, founder member of the DCB’s. With Mr. Dan Norton playing Mandolin. Don’t miss Special Concensus at Tamworth. Author DCB'sPosted on January 17, 2017 Categories Bluegrass Events, GiG'sLeave a comment on Special Concensus at Tamworth. Tamworth Bluegrass Festival – New Venue. The Tamworth Bluegrass Festival has a new venue for 2017. The festival will be held at Fillongley Village Hall, which is situated in the heart of the Midlands, with easy motorway and railway links. Author DCB'sPosted on January 14, 2017 Categories Bluegrass Events, Bluegrass FestivalsLeave a comment on Tamworth Bluegrass Festival – New Venue.